Seattle and Portland may be seeing strong prices rises in US terms, but America’s hottest markets have relatively modest increases compared to other parts of the world. 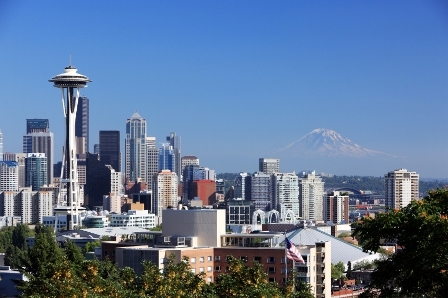 The annual price rise rankings from global real estate firm Knight Frank has Seattle at number 33 with a rise of 11.1 per cent in the year from the third quarter of 2015 to the same period of 2016. Portland is in 34th place with a 10.9 per cent rise. That compares to home price gains in eight Chinese cities, which hold the top 8 places, which range from 25 per cent to an eyewatering 42.9 per cent in Nanjing. The highest-placed city outside Asia is Vancouver which saw a rise in prices during the period of 24 per cent with two other Canadian markets - Victoria and Toronto – also showing strong gains. Denver is placed at number 38 with an 8.8 per cent rise; Dallas is 43rd with 8.1 per cent; and Tampa, FL is at 47 with 7.6 per cent. Freddie Mac says that average mortgage rates have seen no significant rises in the past week despite uncertainty in the market. “The 30-year mortgage rate remained flat at 4.19 per cent, starting the month 47 basis points higher than this time last year,” said Freddie’s chief economist Sean Becketti. For 15-year FRM’s the average mortgage with an average 0.5 point was slightly higher at 3.41 per cent (compared to 3.40 per cent a week earlier) while an average 5-year ARM with an average 0.4 point was up to 3.23 per cent (from 3.20 per cent). Builders remain confident in the market for homes for over 55’s according to a new report from the National Association of Home Builders. The fourth quarter reading of its 55+ Housing Market Index was 67, up 8 points from the previous quarter, as builders’ optimism gained. It is the highest reading since the first index in 2008. “The significant increase in the index reading is attributed partly to a post-election boost, as many builders and developers are encouraged by President Trump’s commitment to cut burdensome regulations that negatively impact small businesses,” said Dennis Cunningham, chairman of NAHB's 55+ Housing Industry Council and president of ActiveWest Builders in Coeur d’Alene, Idaho. The outlook is for 10,000 baby boomers to be turning 65 every day over the next 15 years and this will drive demand for downsizing options for this growing sector.